Phentermine 37.5mg tablets from Mutual and Able Pharmaceuticals. These A-159 and Mutual MP-273 phentermine tablets were among the most popular for their potency and consistent quality. 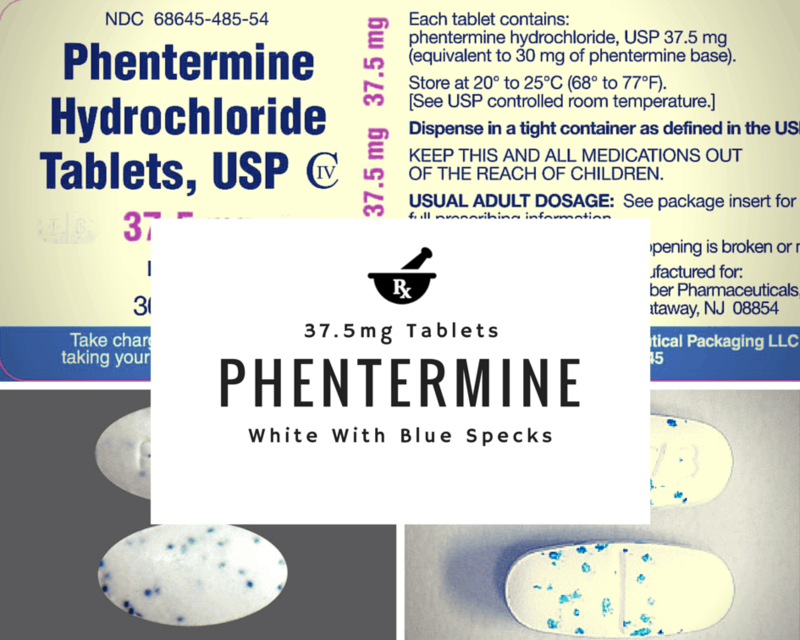 The strongest available form of phentermine is the 37.5mg tablet, and it also happens the be on the most popular forms due to its effectiveness. It provides a significant boost in energy while adequately suppressing your appetite. As a result, most physicians will hesitate before they consider prescribing it to patients. Phentermine 37.5mg tablets are merely the generic version of the brand name (and more expensive) Adipex, which is manufactured by Teva Pharmaceuticals. Why is it so difficult to get a prescription for phentermine 37.5mg tablets? The sale of prescription medications online boomed during the early 2000s when “online consultations” were a new and coming venture. It allowed patients to complete online medical forms with requests for treatment from licensed physicians. These physicians could then approve or deny treatment. All of this was being done without ever being seen by a doctor. While it may have seemed like a better way of managing the healthcare crunch of not having enough physicians, it created an online prescription medication nightmare. Eventually, some patients began inputting false information in order to be approved for controlled medications such as narcotics and dietary supplements. Within time, online consultation groups and online pharmacies were shut down. Doctors were originally lured with very profitable payouts for blindly writing prescriptions (mostly controlled substances) to individuals they had never met. And some patients were manipulating others to write prescriptions that no doctor would agree to do if provided correct information. So of course, this quickly became dangerous territory for not only the patients but the healthcare system as a whole. If you wandered onto this page and are still reading, it is obvious you’re interested in Phentermine 37.5mg tablets. But let us explain. The federal government has long since banned the sale of online phentermine; the remaining “online pharmacies” still operating to this capacity are usually advertised as being in small foreign countries. Regardless of where these pharmacies identify themselves to be, you should still be leery of purchasing anything online for consumption. Products can be placebos or actually toxic to the body, and toxicology testing would typically be needed to identify the components of these items. And on top of that, they do not hesitate in charging hundreds of dollars in addition to shipping. Ultimately, payment does not even guarantee that you will receive the advertised product. So in order to avoid this, let’s discuss the realities of obtaining phentermine 37.5mg tablets. without forking over your cash to a clinic for a consultation and bloodwork with zero guarantees you’ll get a prescription? without even worrying about a prescription at all? The good news is this can all be achieved with a new little tablet called PhenterPro. Phentermine was newly developed to obtain the goal of boosting energy, suppressing appetite, and weight loss without the potentially dangerous side effects of phentermine 37.5mg. Increased feelings of energy throughout the day while having a lesser chance of jitteriness. When taken in the morning, PhenterPro starts wearing off in the evening to ensure quality sleep. Decreased desires, urges, or cravings to eat. With fewer thoughts about food, you can be more productive elsewhere. The most commonly documented side effect of PhenterPro is a mild headache during the initial week of starting the medication. Your body must first adjust to the new drug; however, the best way to lessen the chances of developing a headache is to drink water. It is recommended to consume an 8oz glass of water when taking it in the morning. If you are looking for the benefits of phentermine 37.5mg but without the potential side effects, consider PhenterPro. PhenterPro is now available for secure online purchase. Tablets are in stock and ready to ship to you.